Waterlea Walloon is a master-planned community consisting of 10 neighbourhoods, centred around a natural creek which features a crossover bridge and landscaped recreational and play spaces. The community is located 10 minutes from RAAF Base Amberley which is set to undergo a $1.5 billion upgrade. Stage 2 has just sold out, with a number of new land lots for sale in Stage 3 “The Village”, with more lots to be released soon. Prices for blocks at Waterlea start at $166,500 and lots range in size from 375sqm to 900sqm, with frontages are between 10m and 22m. Many lots feature creek, pond or park frontage. House and land packages start at $359,700. 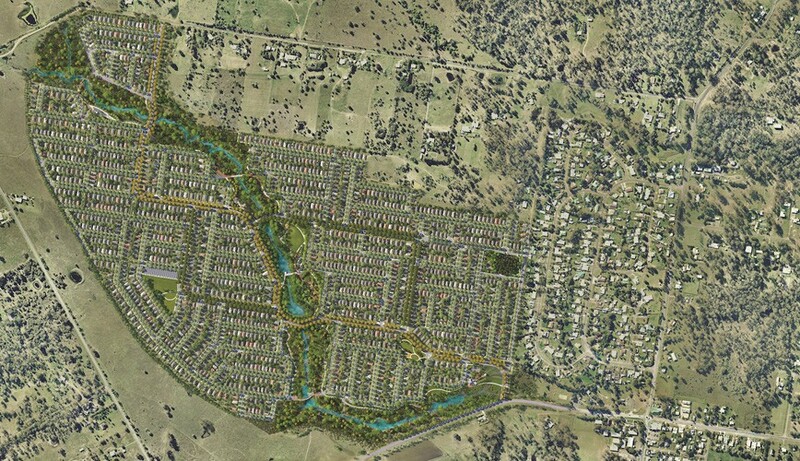 With 1,500 lots in total, Waterlea is expected to house around 4,500 people upon completion. Located just 10km from Ipswich CBD. Waterlea will also feature a large central park and a village hub with cafe and childcare centre. 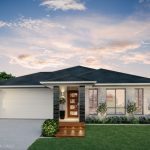 There is an 8 home display village at Waterlea set to open shortly. The community sales centre for the project is located at 2–62 Rohl Road, Walloon. It is open 7 days a week between 10am and 5pm. 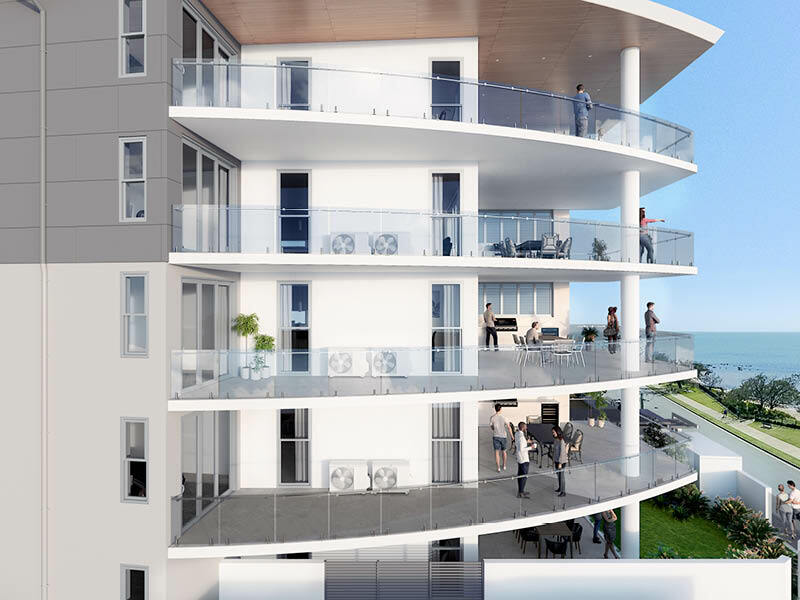 This $350 million project is expected to house 4,500 residents upon completion. The land for sale at Waterlea will be released gradually, and the area will be developed as 10 village neighbourhoods. Each release contains between 20 and 30 individual lots. 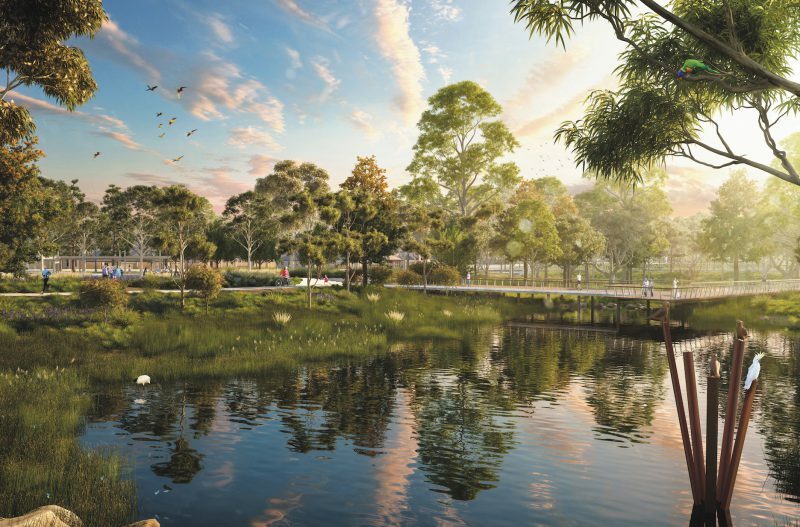 Residents at Waterlea will also have access to many amenities over the 34 hectares of green space in the new Ipswich development. These include the central parklands, with their landscaped recreational and play spaces, the 100m-wide green spine parkland running through the length of the project, 2.4km of interconnected bike and walking paths, exercise stations, and community activity areas for sporting activities and concerts. There will also be a village hub, which will host a retail centre, a cafe, markets, and is expected to hold events throughout the year. Stage 3A and 3B are currently selling and contain 28 lots sized between 512m² and 774m². Stage 3C and Stage 3D, which offer 23 lots and 29 respectively, are due to be released shortly. Waterlea is located off Rohl Road in Walloon. About 15-minutes drive west of Ipswich, Waterlea is close to the major facilities available in the city, yet still has the quiet, suburban feel many families are searching for. In Walloon itself, there is the Walloon Hotel, an IGA and bake house, as well as Walloon State School, a doctor, dentist and hairdresser. The school is located just off Karrabin Rosewood Road, just 600 metres from the sales office at Waterlea. This means more properties in the estate will be close enough to be walking distance to the school. Henry Lawson Bicentennial Park is also just across Karrabin Rosewood Road, with a large playground and BBQ facilities available. 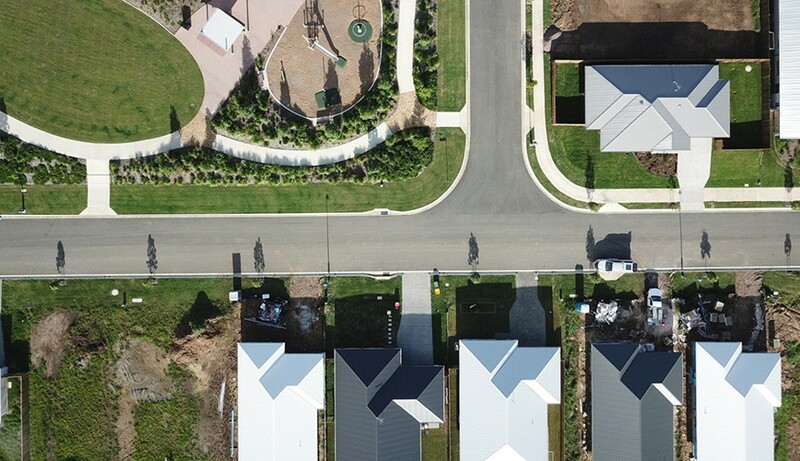 Waterlea is also conveniently located just a kilometre from the Walloon Train Station, connecting the community by rail to Ipswich, Brisbane and beyond. To find out more about the Ipswich area, check out our suburb profile. Upon completion of the estate, Waterlea will feature a stand-out village hub. 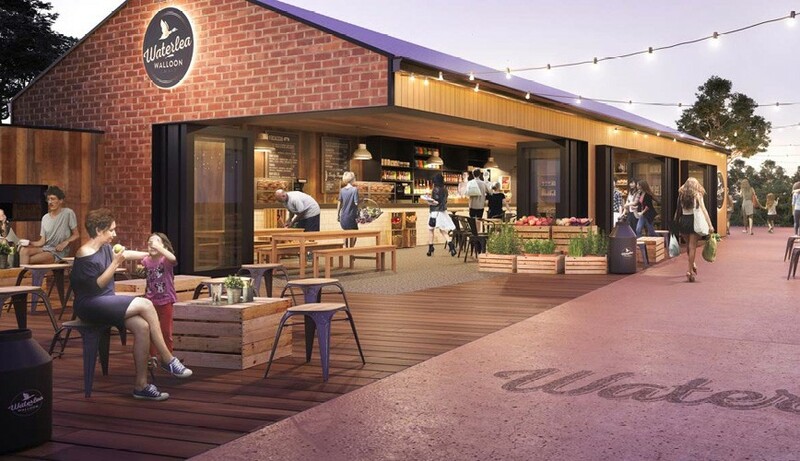 Situated in among landscaped gardens on the banks of the creek, the village hub will feature Parkside Cafe, set to be serving a selection of light meals and freshly baked goods. Much of the produce used in the cafe will be grown in the community garden at Waterlea. As well as the extensive green spaces and waterways that are interlaced throughout the development, there will also be a stunning central parkland space. With a grand footbridge across the creek, this area will feature picnic and BBQ spots, sports facilities, an adventure playground for the little ones, all topped off with ample car parking spaces and public toilets. Blocks range from 375m² to 900m², with an average size of 533m² throughout the estate. 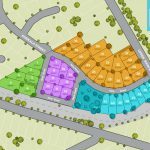 Frontages at Waterlea start at 10m, with some offering frontages at large as 22m and some of the land for sale offers creek, pond or park frontage. Of the lots currently available in Stage 3B, prices for the new land are between $180,000 (house and land at $465,000) and $225,000 (house and land from $499,011). Buyers are Waterlea can choose a block of land and selected their own builder, or select from one of the house-and-land packages on offer. There are also a few “completed homes” available for purchase. 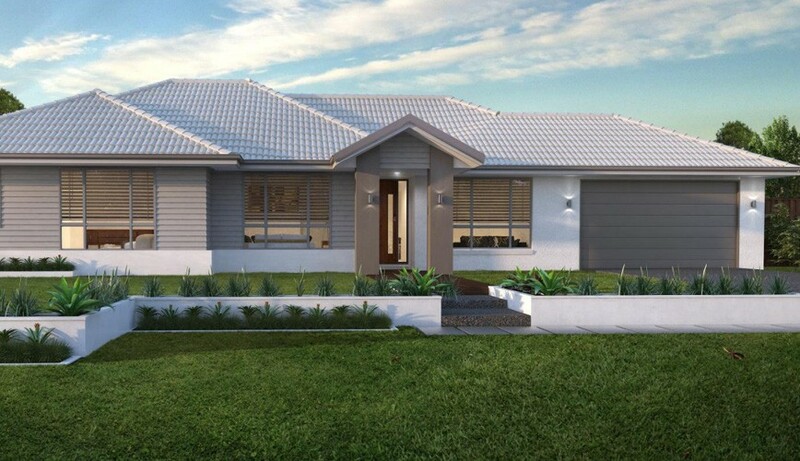 These are homes that are bought pre or during construction, with no customisation available. Some of these completed homes offer move-in dates for buyers as early as March 2019, and some already have tenants secured for the first 12 months, making them a great investment opportunity. These leases range between $360 and $370, with 4.5%–4.6% yield. Of the house and land packages currently available, there are a number of different builders to choose from, including Stroud, Oracle Platinum, Stylemaster, In Vision and Unity. 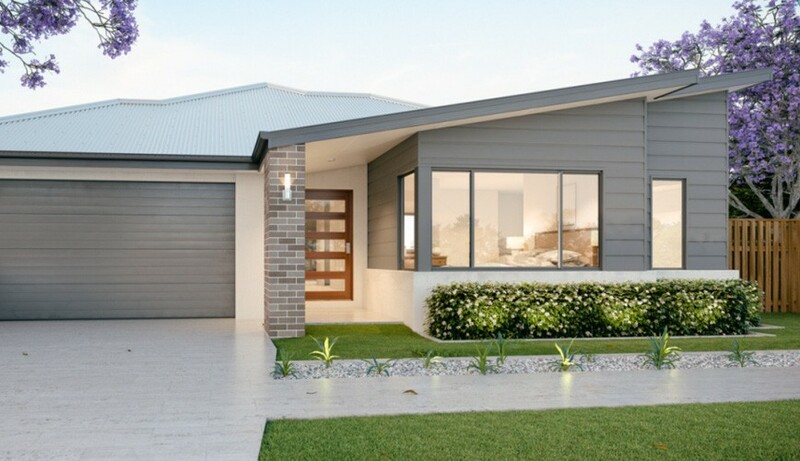 Most homes are single storey and are sized around 250m² with four bedrooms, two bathrooms and a double garage. Some homes are as large as 315m², with 3.5 bathrooms and some are sized just below 200m², offering a great option for young first-home buyers who are used to apartment living. The median house price in Walloon is currently $405,000. Rental yield in the area sits around 4.5% average, which is what would be expected for investors planning to lease out their new home at Waterlea. 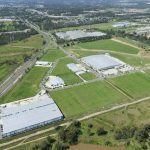 The annual growth rate for the suburb currently sits at 0.3%, but thanks to this $350 million masterplanned community, that is expected to jump significantly over the next five to 10 years. 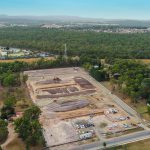 The current predictors indicate that this area is expected to grow by 40,000 residents within the next decade, so this development is hitting the market at the perfect time to capitalise on that. Currently, the closest project to Waterlea is Vista Estate, located just 10 minutes away in Rosewood. There are only 41 lots for sale at this boutique house-and-land development, sized between 558m² and 1686m². Other new house and land projects in the Ipswich area include Monterea Ripley, Henderson Heights, Torhaven and Soverign Pocket. 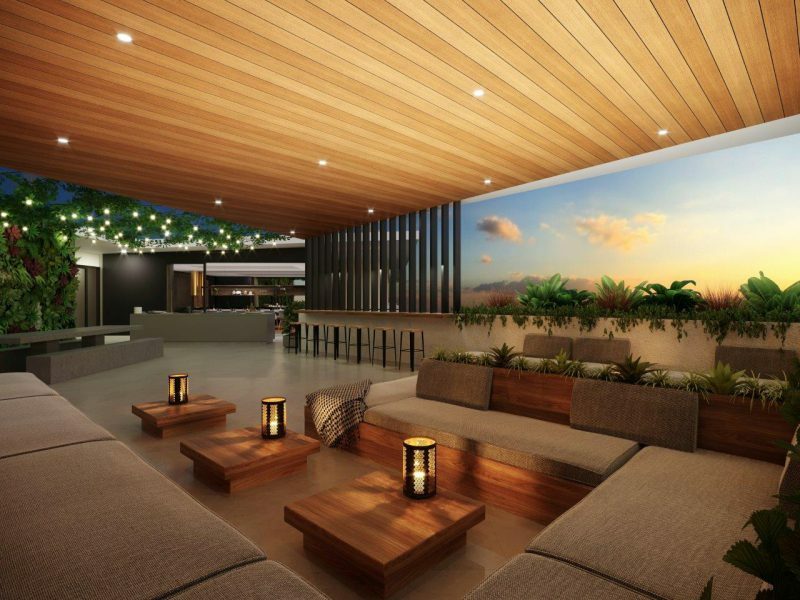 The developer of Waterlea is Sydney-based developer RBG Services. Recently, RBG Services received the 2018 National Award for Excellence in Strategic Planning for the innovative stormwater design at Waterlea.